Search for an image in our photo galleries. There are more than 30 different categories with almost a 1000 images to choose from. These galleries have mainly images of Andalusia. Write down the name of the category and the code of the picture. If you cannot find the right image you can take a look at www.shutterstock.com. In case you have found the correct image, you write down the ID number of the picture. 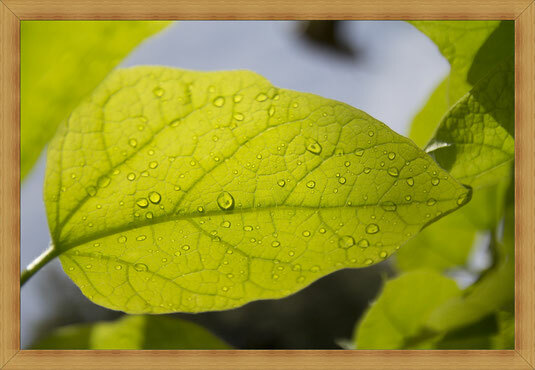 Be sure that it is possible to download the image in high resolution, so a minimum L or XL (300 dpi), depending on the size of the garden poster you like to order. When you have found your image you can let us know which image you like and we will buy the image for you. You can also send us a file with your own image. Be sure that the file contains an image with a high resolution depending on the size of the garden poster you like to order. Normally these images are more than 2 MB big. 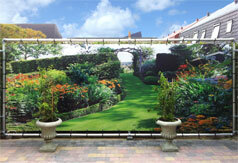 Decide the size of the garden poster. In our shop you can see garden posters with standard sizes which you can order & pay directly. Just select the size and mounting system and fill in the code of the image. Pay directly with Paypall or credit card. In case you want a garden poster made to measure you have to fill in the order form. See the steps below. The code of the image (this is the code which is shown at the bottom of every image in our galleries). In case you have chosen a picture from Shutterstock, you fill the code of that picture. In case you want to have your own picture printed, you fill in the name of that file. Our canvas garden posters are made-to-measure ("cm" accuracy), but the proportions of the image can be different of your selected dimensions. That is why we always send you an digital example of the garden poster, before the poster get printed. After your confirmation the garden poster is printed and sent to you within 7 days.